Today, I am overjoyed to share a FREE online event I’m confident you’ll love: The Journey Together Summit, June 5-8. 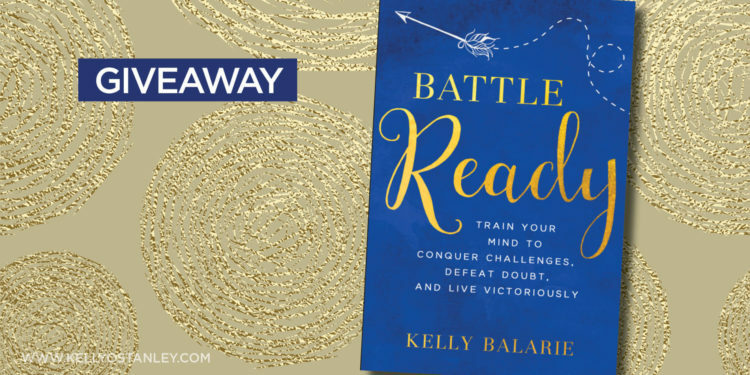 I’m joining hands with 34 leading authors—some really amazing women—with the sole mission of helping you discover new bravery. 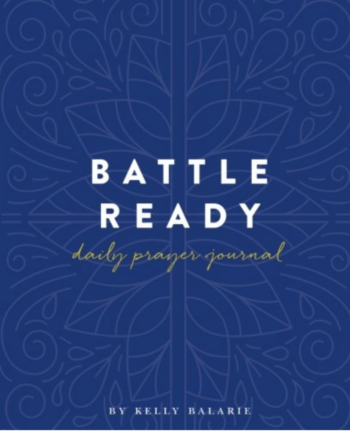 Whether you desire to be brave at home or at work, in your marriage or with your children, in ministry or in the mess of the day, dealing with a surprising life or just organizing it—this is the event for you. 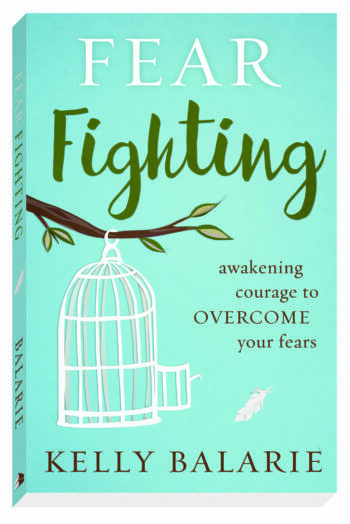 There is something for everyone with over 34 topics of fear covered (wait ’til you see them all!). We’re also featuring an awesome line-up of authors who will give you practical, relevant and biblical tips for stepping into peace, purpose, and passion. This is an event you won’t want to miss! Afraid you can’t “be there”? Don’t worry! 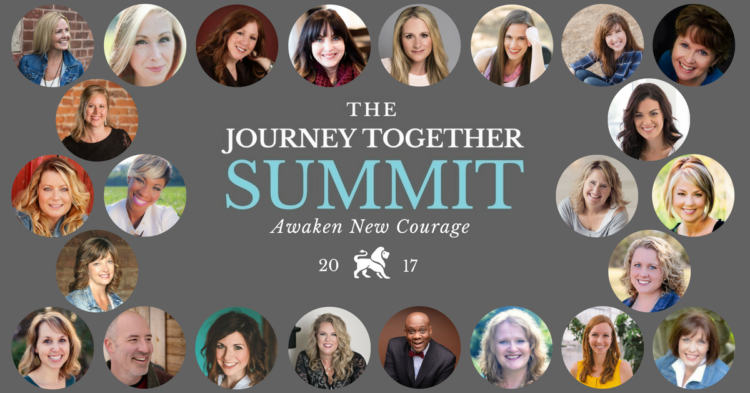 The 2017 Journey Together Summit is a FREE, VIRTUAL online conference! You don’t have to travel—we bring the interviews to you! They’ll be broadcast over the web, so you can watch from the comfort of home. What’s more? It’s FREE. Check out the lineup and see the agenda here. I can’t believe I get to be part of this. So what are you waiting for? 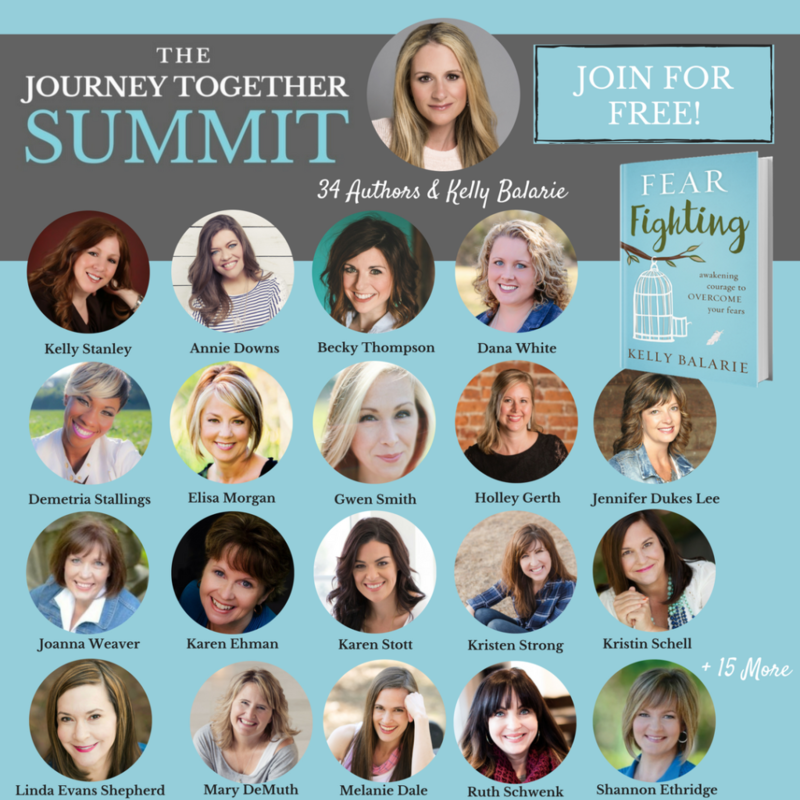 Join me and 34 other experts at the 2017 Journey Together Summit. Grab your FREE ticket today! And, if you can’t attend June 5-8, we have you covered. Get the All Access Pass and you’ll be able to watch the videos post-event. I can’t wait to see you there! And I hope you’ll invite a bunch of your friends to join you. It’s a great way to initiate meaningful conversations and share this journey we’re on together. P.S. 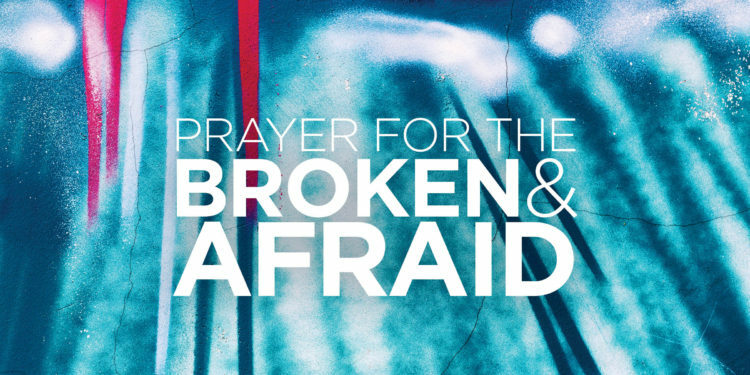 You can download my brand new e-book on prayer — for free — when you subscribe to my newsletter. Click here to sign up. This past weekend, I was at a women’s gathering and we were worshipping to this song. I love the song but don’t think of myself as someone who is fearful. 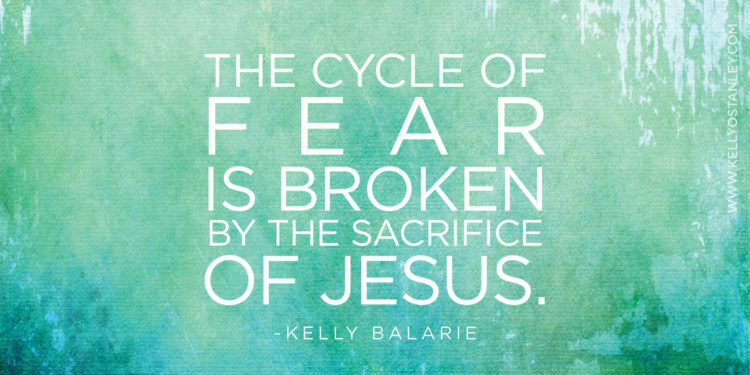 I wasn’t relating to the fear part, so I closed my eyes and asked God what He had for me. And as soon as I asked, I felt the reply. 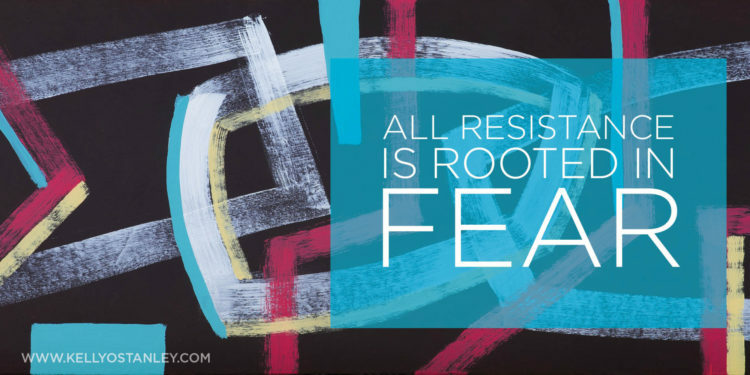 All resistance is rooted in fear. Oh my. He’s right. Lately I’ve been aware of keeping God at arm’s length. Of resisting the teachings I hear. Of evaluating everything and having trouble soaking it in. I never would have believed that it had anything to do with fear, but I can see now that it does. Fear that I’m not enough. Fear that He’ll disappoint me. Fear that I’ll look stupid for believing. Fear that I misheard Him. Fear that I’m a hypocrite. Fear that He doesn’t really want me. Fear that I don’t belong. Fear that my sins will come to light. Fear that I’ll open my heart and then be hurt deeply. Fear that I can’t sustain this kind of intensity. Fear that I won’t like how God answers. Fear that I’m wrong about Him. But as the song reminds me, I am no longer a slave to fear. I am a child of God. And because I am His child, these fears no longer have the power to keep me away, to hold God at a distance. No more resistance. No more fear. Only God. The Father. The One who can always be trusted to love His daughter. No matter what. It’s not enough just to ask for God to provide people to help someone. Sometimes we have to be willing to step forward and do the things that nobody else is doing. I wish I could say I changed her life. I wish I could say that I did all of these caring, generous things. I made some efforts—offered help, bought her new head scarves, gave her some money. But somehow, that’s all I did. In my defense, I think I tried, but for whatever reason—inability to coordinate schedules, or something—I didn’t actually do much. Years later, remembering this makes me feel embarrassed. How many opportunities have I missed to show someone kindness, to let them know they’re not alone? How many times have I thought “someone else will do it so I don’t have to”? I wrote an article for Crosswalk recently called Three Things Jesus Didn’t Pray For. And one of them really stood out to me. When someone asked for healing, Jesus didn’t pray. He didn’t tell them he’d pray about it and get back to them. He healed them. Prayer was not a reason or excuse to delay. It was simple. They asked, and He answered. If only it were that easy! If only I could miraculously banish cancer and disease and illness with a touch. But Jesus said whoever believes in Him will do the works He did—and even greater things than these (John 14:12-14). I believe that in abstract terms. I do. When I pray, I give myself over to the belief that God will heal. That He has given us power to act in His name. That we can still be part of miracles. When I offer myself to God, again and again, I ask Him to use me. Sometimes, I think He does. And sometimes I willfully refuse to hear Him when He nudges me out of my comfort zone. I justify my inaction—I’m busy. I’m not equipped. I don’t know that person very well. I feel awkward. They’ll think I’m weird. Maybe I can find someone else to do it. I don’t know how to (fill in the blank). We do need to set boundaries, and we have to care for our families and friends and take care of our responsibilities. But I want to be used by God. I want to show someone the extraordinary mercy and kindness God has shown me. I want to clasp hands and pray and then watch with tears streaming down my face when the person I prayed with sees God’s answers. I long to talk about God and the things He has done. I want to be God’s hands extended, reaching out to those who feel alone or afraid or unwelcome. And yet as I typed that last paragraph, I bit my bottom lip. Stopped typing and took a deep breath. Stared at the backspace key and considered some serious deletion. 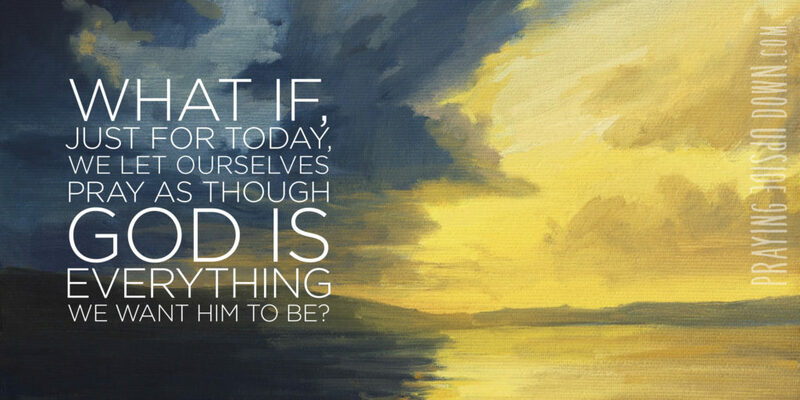 Because here’s what I know: when you ask things like this, God answers. When you want opportunities to live out your faith, you won’t be able to take a step forward without finding them blocking your path. And I’m afraid. That I won’t live up to God’s expectations, or that I’ll come across as condescending instead of compassionate. That I’ll make things worse because I don’t have the right words. That I’ll start off well and then get busy and that person will feel abandoned, not just by me, but by God, too. Dear Lord, it’s a frightening prospect to ask to be used in this way. To know that there are so many needs out there—all around me, among friends and acquaintances and strangers—and to not know what I can do to help. So please, Lord, show me. Remind me that I don’t have to do this on my own. I don’t have to find the need, or create a problem, or even know how to fix it. I just need to lean on You and let You lead me. Connect me with people and let me share what I’ve found. And, even better, let me learn from the people You put in my path. When the load is too heavy to bear, give me strength to carry it to Your feet and then release it into Your powerful hands. When someone else’s heart breaks, and mine breaks with it, be the soothing, healing balm that will put us both back together. And whatever I do—whether it’s a huge task or the tiniest of details—walk beside me. Whisper to me. Flood my soul with Your Holy Presence. And teach me how to let You shine through me. 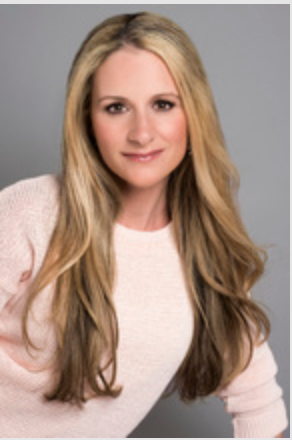 This was written for Suzie Eller’s #liveFreeThursday linkup. 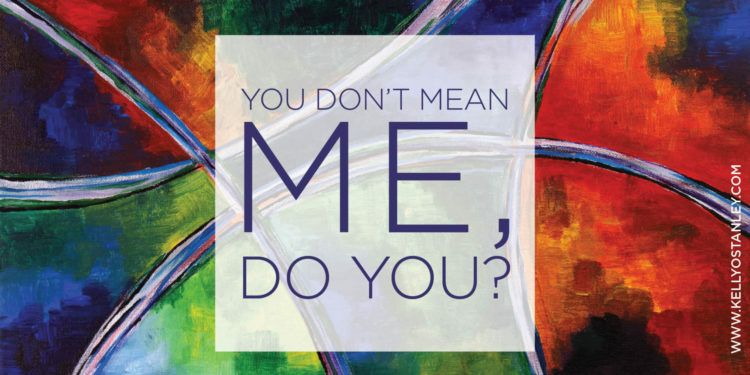 The prompt: You don’t mean me, do you? Take a minute if you can to read some of the other posts at the bottom of that page. There are some really amazing women and stories among the women who have been inspired by Suzie. It hurts. God, do you have any idea how much this hurts? I know that Christianity teaches that Jesus took on all our sin, pains, and sorrows when He died on the cross. I’ve been told that You’ve experienced it all—felt love and joy, grief and sorrow. There is nothing I can feel that You do not understand. Nothing I can say that You do not already know. But is this really true, Lord? This feels too big. And at the same time, too specific. Surely You didn’t feel this kind of pain. Our cultures and societies have changed. You were without sin. I have way too much of it. Can you really understand? The right answer, I know, is yes: You know, You feel, You care, You understand, You will never leave me, and You are the source of all hope. I can only find my strength in You. I can only discover answers in You. But what happens when I know this in my head but don’t feel it in my heart? What happens when I feel doubt? I want You to be everything You are supposed to be. But I’m afraid that You are not enough. Or that I’m the exception—maybe I’m too far gone. Maybe I’ve made too many wrong decisions. Maybe I haven’t prayed enough, believed enough, tried enough. Maybe You don’t love me enough. But then I hear You whisper, shushing my objections. Lord, I want You to prove me wrong. I want You to push away my doubts and replace my fear with faith. I want it to be an instantaneous, miraculous transformation. But I’m so afraid You won’t come through for me. And I wonder where that will leave me. What it will say about my faith. But I guess those things don’t really matter. What matters is that You don’t let go. That You hear my desperate pleas. And that You let me see You. Oh, Lord, please fix this. Give me hope. 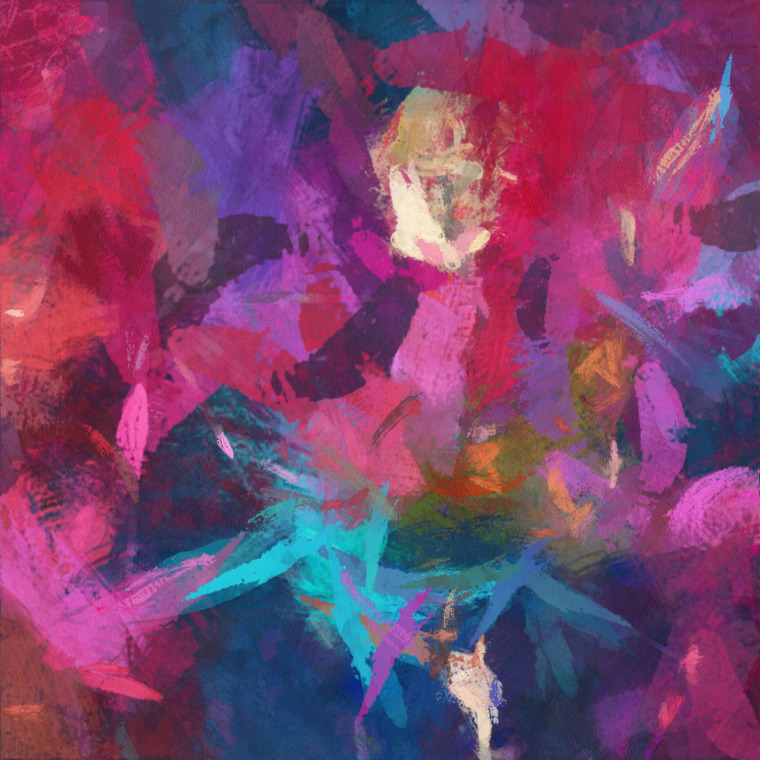 Give me something—even the slightest little glimpse, the tiniest little proof that You hear me. Because, somehow, as afraid as I am to lay myself open wide, to fully trust in You, I do believe. And I pray that this tiny mustard seed of faith will truly be enough to grow into something magnificent. If You are all that I hope You are, it will happen. And I’m willing to take a chance, because I want to believe. Because I need You, so much more than I want to admit. So I give You my pain, my fears—and my desperate, fervent, tremulous hope. And I wish, and pray, and wonder, and wait to see what You will do.